I met Fel after she ended work and we made our way to Italian (Very apt, seeing that PUPA hails from Italy!) Senso Ristorante & Bar at 21 Club Street #01-01. Before I bring you through the event, let's take a glance at the brand! PUPA is an 'all-rounded' brand. 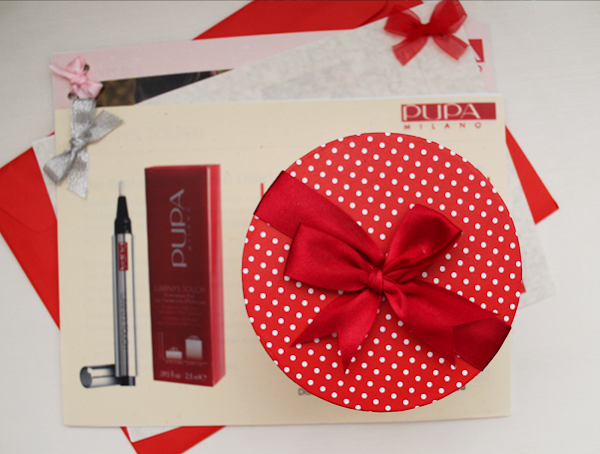 Makeup, skin care, body treatments, fragrances... PUPA has got them all covered! The brand's vision is to create the PUPA woman who is confident, knows exactly what she wants and how she wants to feel... She's passionate and free and she does everything for herself, first. PUPA prides herself in providing products that are innovative and of the highest quality. 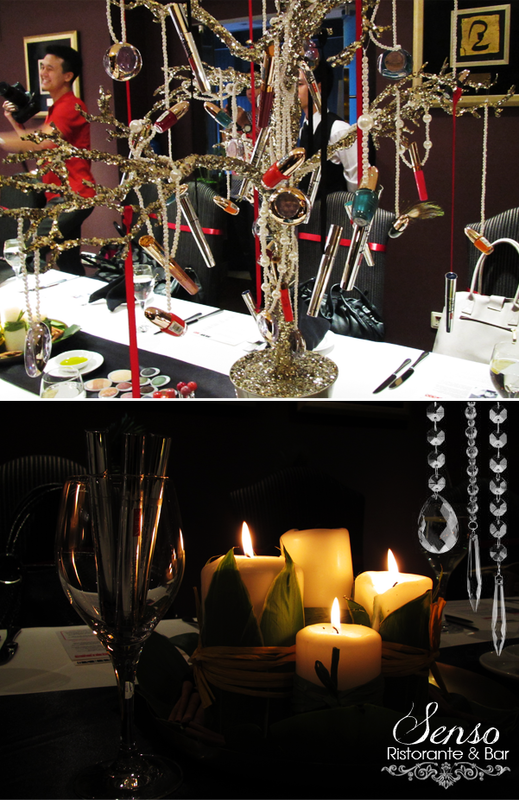 She ensures she is at the forefront by doing extensive research and coming up with the most glamorous colour trends. Here are some body treatments that will enhance and reshape your curves so that you can be the PUPA woman! 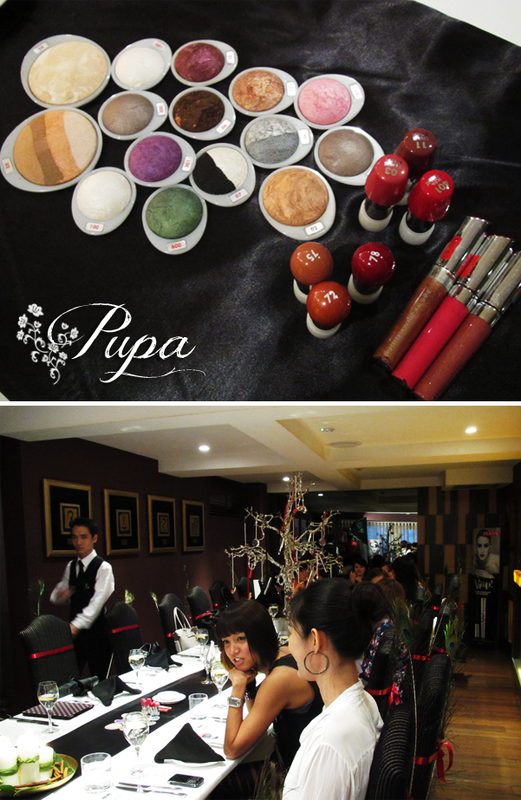 And presenting... PUPA's makeup! Very gorgeous, especially the blushes with their veins!!! 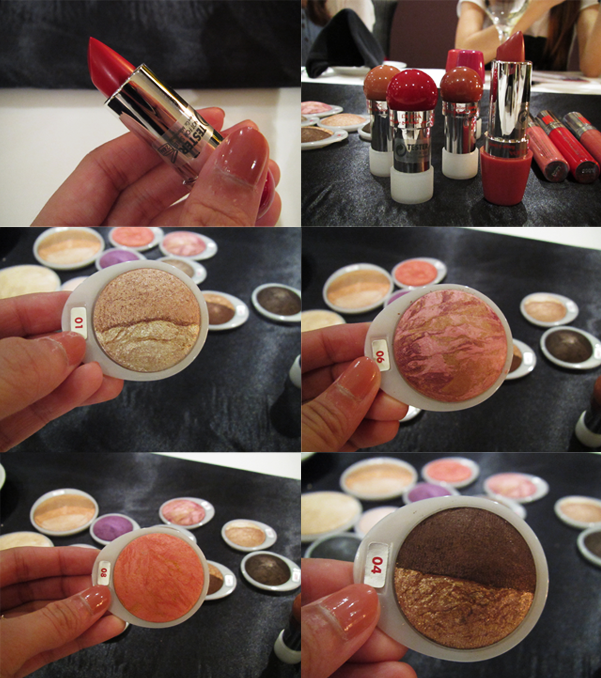 Some shots of the individual makeup items! 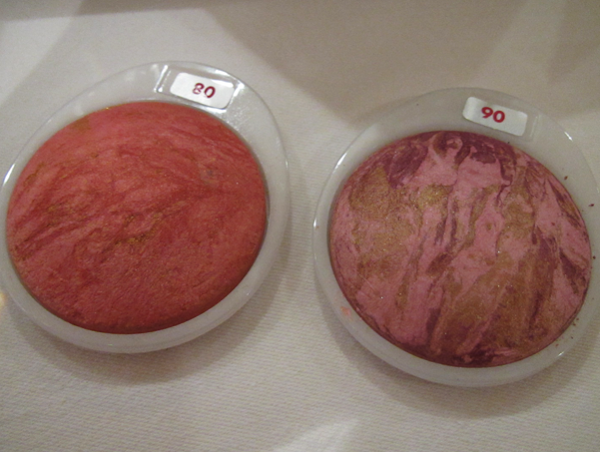 I love the Luminy Baked Blushes, especially 06 and 08! LOOK AT THE GORGEOUS, TO-DIE-FOR VEINS!!! 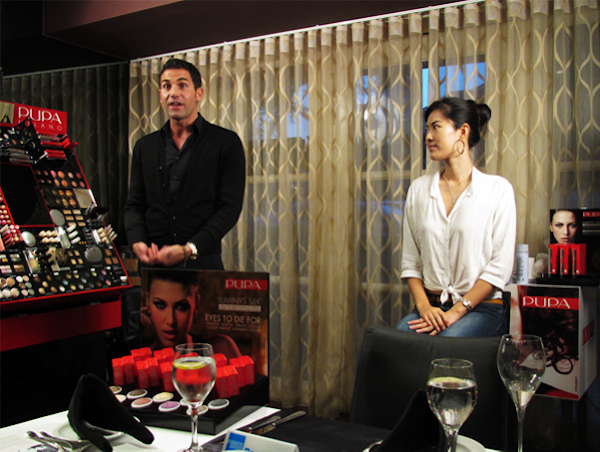 Before dinner began, we had a makeup demonstration conducted by Giorgio Forgani! 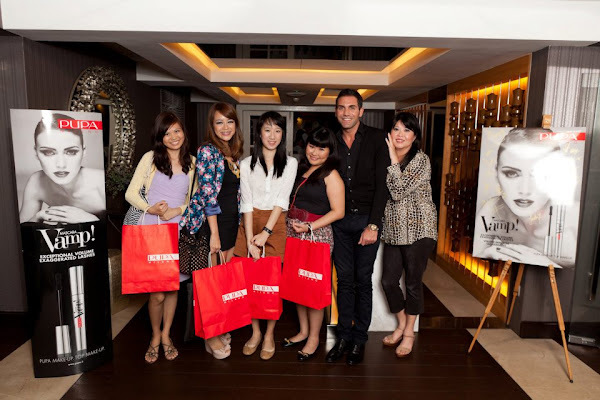 He's PUPA International Celebrity Makeup Artist. He flew all the way from Italy to Singapore, just to grace the launch! Here's Miss Singapore Universe 2011, Valerie, who was the model for the night! And TADAHHH! The completed look! Valerie looked so elegant in purple! Here are 3 bullet points I picked up! 1. Strong eyebrows are very important because they frame the face! So make sure you fill them in (Go one shade lighter than your original shade!). 2. 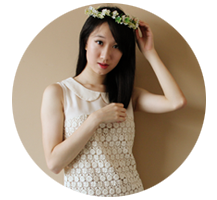 Avoid yellow-based eyeshadows as most Asians have yellow undertones. Yellow-based eyebrows will make your eyes seem sallower. 3. PUPA's Volume lipgloss in 100 is THE soulmate for smokey eyes! 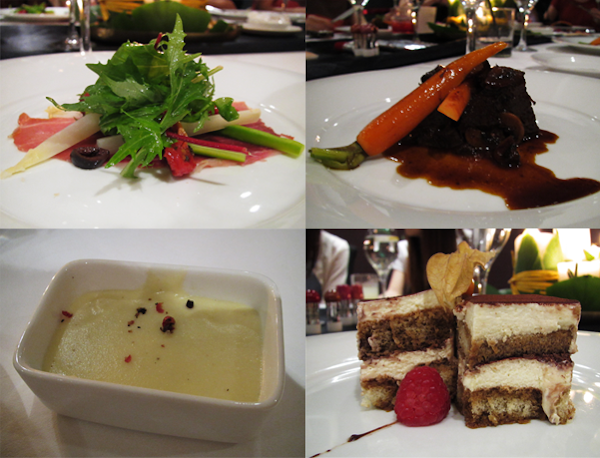 It was a really lovely evening, which ended off with group shots (But of course!). :DDD Big thank-yous to Lynn, Mimi, Giorgio and PUPA for making my night!